Canberra is euphemistically known as the bush capital with the hills, ridges and buffer zones throughout the city deliberately left as natural bush making this one of the world’s unique cities. 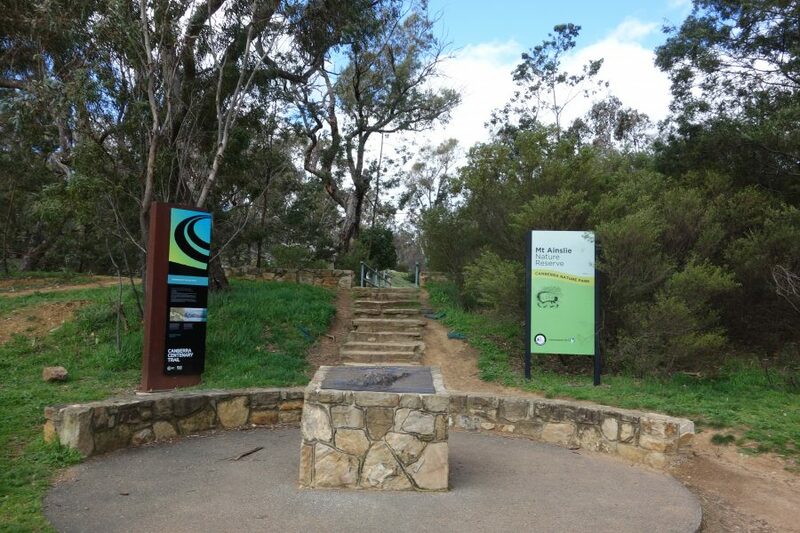 While a number of fire trails provide access the main walking trail up Canberra’s central mountain, Mt Ainslie, is located just behind the Australian War Memorial in the centre of the city. 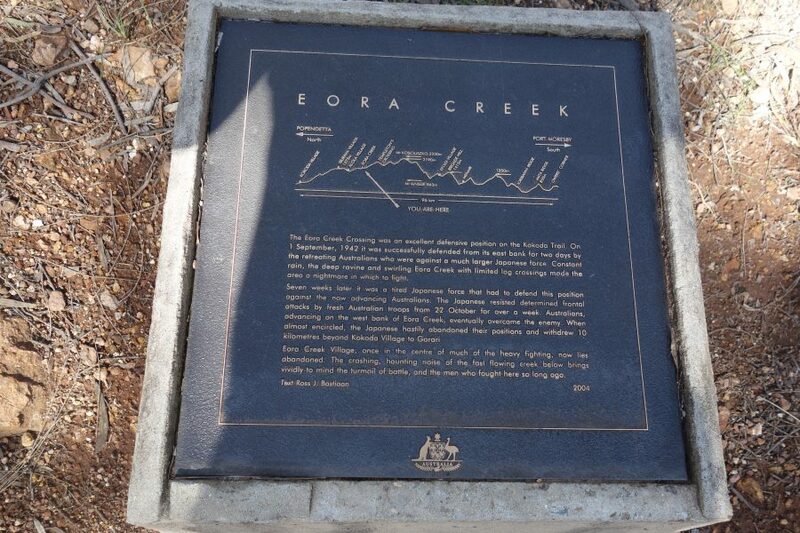 Being in such close proximity to the memorial has meant that this trail is unique and named for the Kokoda Trail in memory of one of Australia’s most well known wartime engagements. The trail head is home to a 3D bronze relief providing background to its Papua and New Guinea namesake. In addition a series of plaques line the trail up to the summit providing information on key sites. 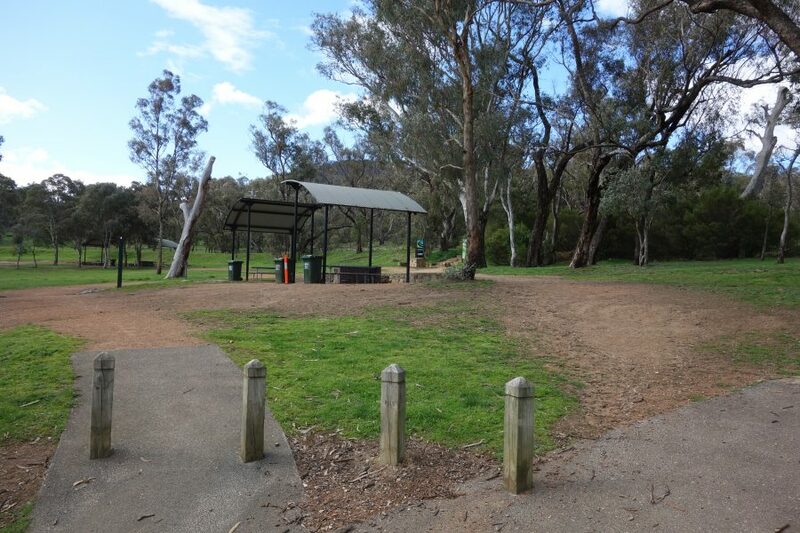 This trail also forms part of the 145km (90 mile) Canberra Centennial Trail that takes in much of the city. 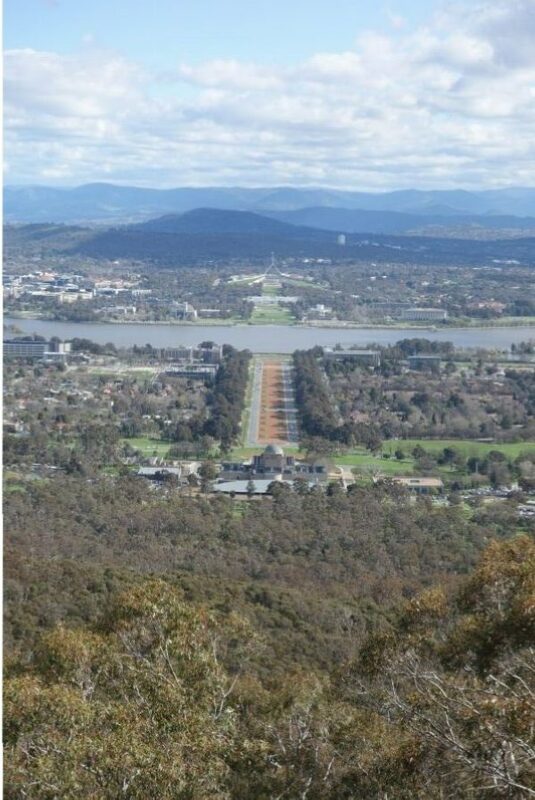 This walking track provides unique views of the city from varying vantage points with the summit on Mt Ainslie providing the best views of the Australian Capital. 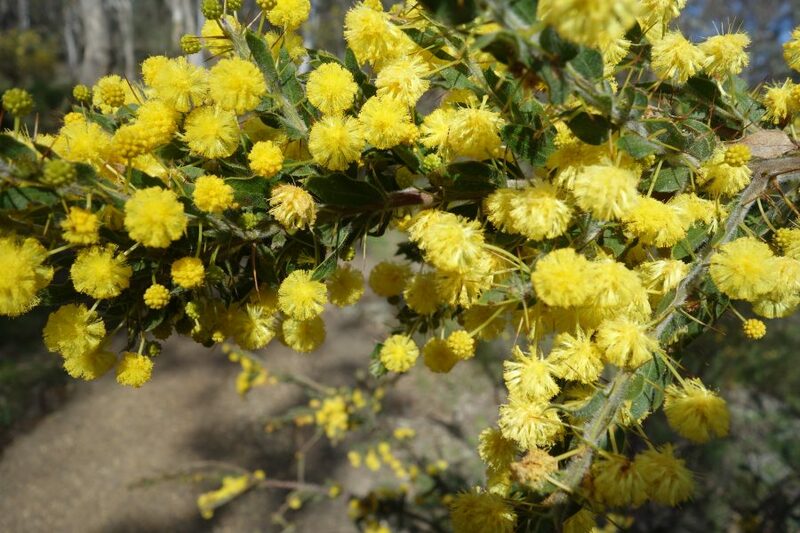 Throughout the year the bush land though which the trail winds showcases the local flora and at times fauna with the odd kangaroo or wallaby being seen. Due to its location a large number of tourists undertake this walk. Parking is available both at the Australian War Memorial as well as on the roadside behind the memorial. Be warned that as the memorial is a major tourist attraction, you will need to avoid the peak times otherwise you will need to park in the adjacent suburb.